What is Atlantean Crystal Healing™? 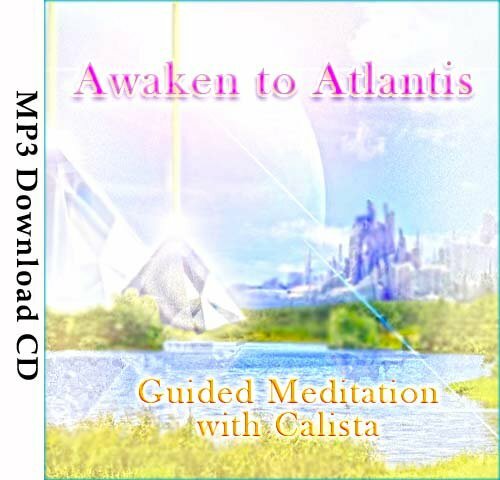 Atlantean Crystal Healing™ is a hands-on healing modality that re-awakens the ancient techniques of crystal healing wrapped in the wisdom of Atlantis. It deepens your own crystalline nature as you learn how to connect with crystals intuitively rather than using them in a prescriptive way. The system was brought forward in 2009 through Calista and her Atlantean guides, (Lady Nada, Isis and Thoth, among others) and the Atlantean Angels. Receiving a treatment of ACH™ raises your vibration, bringing you back in sync with who you are. It aids health, wellbeing and can bring about a sense freedom as limiting patterns and energies fall away. Both physical and non-physical crystals are used in a standard treatment coupled with the use of colour, intention and angelic frequencies that best serve your path and purpose. The teachings of ACH™ are continually expanding to meet the shifts in global consciousness so we can best cater to humanity’s desire to remember and embrace their truth. Taught over 2 practitioner levels to connect you steadily increase your own crystalline nature and trust in working with crystals on an intuitive level. What is involved in Atlantean Crystal Healing™ treatment? Each treatment of Atlantean Crystal Healing™ is as sacred as it is profound with sessions catered to the meet the intentions of the recipient. In each treatment, a trained practitioner uses physical and non-physical crystals best suited to meet your intentions. The crystals will be arranged in a certain layout / grid to bring about a certain shift in your energy field and programmed with the highest vision for health and wellbeing for all concerned. Atlantean crystal energy may also be channelled to connect you to Source / your own knowing soul to help facilitate the changes you are ready to make in your life. An ACH™ treatment may also include the use of crystal essences, sound healing, angelic support, sacred geometry, intuitive guidance and colour healing to best cater for the recipients’ intentions. Is Atlantean Crystal Healing™ different from other crystal systems? Yes, ACH™ is a unique modality that was created was to evolve the existing knowledge of crystal therapy by returning to the purest way to work with these allies, and that is to connect with them on an intuitive level. Most crystal modalities work at a prescriptive level and while there is much benefit to doing this at first, by connecting to each crystal on a personal level you tap into its individualised Source potential. ACH™ also differs from mainstream therapy systems for it fuses the use of both physical and etheric crystals. The course levels build on each other, supporting you to bring the Light of the crystals into your daily life, and in turn raising your intuitive abilities and supporting a return to innate crystalline nature. If you are new to working with the energies of Atlantis or would like to experience Atlantean crystal healing, we recommend this soul immersion. “Thank you, thank you, thank you, this was the most beautiful journey and the music was just perfect. I prepared for the meditation with lighting a candle and setting up my quartz crystal friend up in front of me. The golden light was so very special and I could feel the energies of Mother Earth filling me up! Later in the crystal pyramid, when the crystals were laid out, it was my soul crystal that was placed on my heart. There was so much beautiful blue light and the colors of the rainbow. Blessings to you beloved Angel sister…I am grateful. “ ~ Iris. What are the benefits of an Atlantean Crystal Healing™ treatment? Receiving a session of ACH™ is such a treat! For it can free us from our own self-limitation and restore our faith in life and our valued participation in it. It reminds us that we are Creator incarnate and that we are here to remember our joy as we inspire others to do the same. Crystals, like Angels, appreciate that humankind never needs ‘healing’ as they understand we are whole beings at Soul level; yet they understand that living a physical life with free will can bring challenges and conditionings that separate us from our divinity, building up resistance and dis-ease in our being. And it is this conditioning that the crystals help us to liberate when we are ready. What are the benefits from studying the Atlantean Crystal Healing™ course? When you work and attune to the Light of crystals, especially through the soulful teachings of ACH™, you awaken to the gift of life and receive the keys to direct its creative potential. This path can lead you to your deepest truth, joy and integrity and with implementing the light of the course into your life, you naturally become crystalline. Your vibration raises and expands – you can enjoy the clarity of working from your soul, as your soul. For those who studied Atlantean Crystal Healing™, they also feel a deeper connection to the earth, the elements, the nature spirits and their own Spirit team. And for those who have learnt ACH™ along with the 12 month crystalline online course they now understand the true bliss that comes from living as your highest self.